"THE VENOM EPIC OF THE FALL STARTS HERE! During a routine battle with the villainous Jack O'Lantern, Venom finds himself transported to a far-off world and learns a terrible truth - a deadly new species called the Poisons has emerged from the vastness of space, and to make matters worse, they're hunting Venoms! 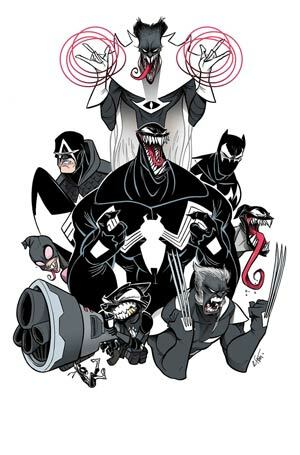 Trapped on the planet's surface with a ragtag band of Venomized heroes, Eddie has no choice but to mount a counteroffensive and hope to find a way home! Rated T+"